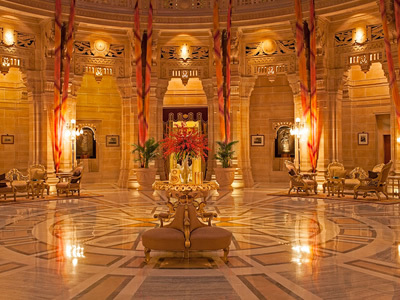 If you are looking for luxury in royal style then this is for you. 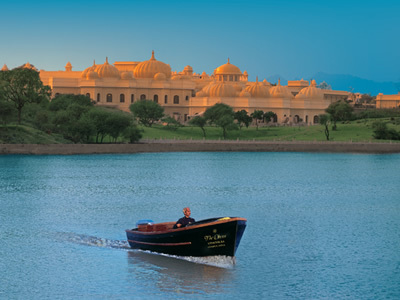 Stay in magnificent palaces & forts where once the Maharajas lived. 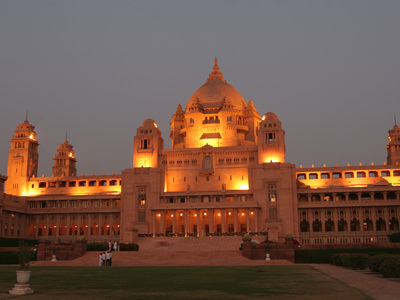 Get first hand experience of royalty & enjoy your stay in one of the finest palace hotels of the world. 15 days from USD 3200. Nimaj is a tranquil hideaway in the heart of the Aravalli Hills and an excellent place to relax and unwind during a tour of Rajasthan. The Thakurs of Nimaj were one of the eight "Sirayats" (highest honour given to feudal lords for their bravery and they formed the permanent advisory senate of privileged Thakurs) of Marwar. The surrounding countryside continues to be tilled by farmers in a way unchanged for centuries and the waters of the nearby lake sustain a healthy population of seasonal birdlife. 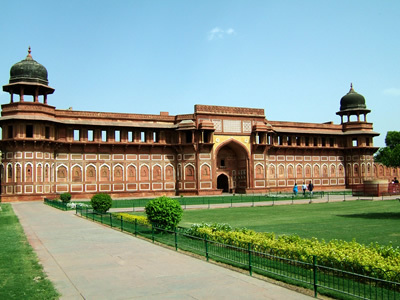 Visit Nimaj Palace. 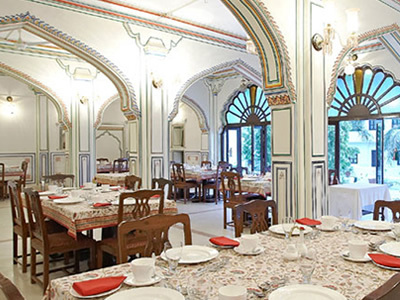 Originally built as a residential palace of the royal family of Nimaj, the palace has now been converted in to an experiential heritage hotel offering wide ranging experiences. ay free to explore bazaars of Jodhpur. 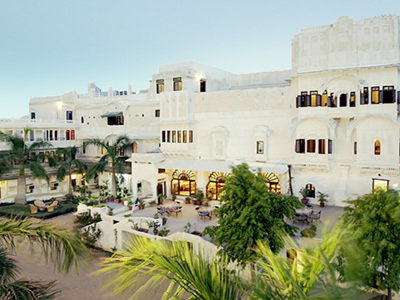 A heritage luxury hotel and resort, housed in the 18th-century Devi Garh palace in the village of Delwara. It was the royal residence of the rulers of Delwara principality, from mid-18th century till mid-20th century. 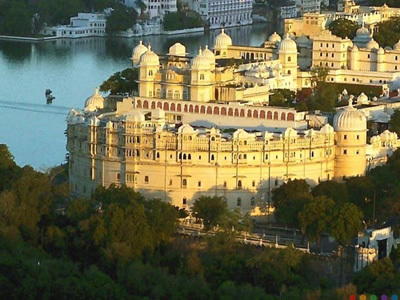 Situated amidst in the Aravalli hills Devigarh forms one of the three main passes into the valley of Udaipur. 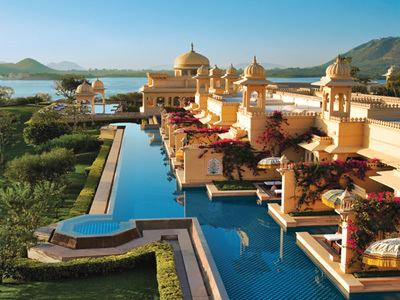 In 2006, the New York Times named it as is one of India's leading luxury hotels, and Frommer's Review, while calling it "the best hotel in the subcontinent", stated that "Devi Garh is more than beautiful, it is inspiring. 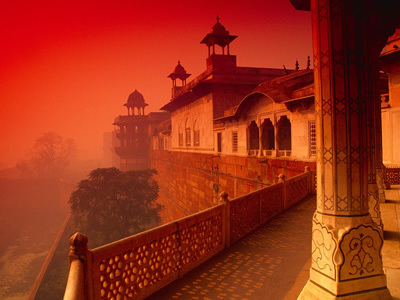 Day free to explore the Palace and villages around. Nestled at the foothills of the Aravalis, the rural town of Dungarpur is famous for its architecturally marvelous temples and palaces. 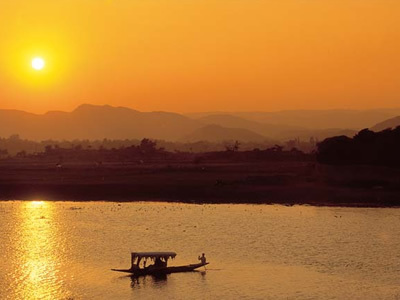 With the blue waters of the Gaibsagar Lake at its heart, and 2 magnificent rivers - Mahi and Som flowing through the region. Once a stronghold of the Bheels - a tribe whose history of inhabitation in the Aravalli range is believed to date back to 4000 B.C, Dungarpur was initially the village of Dungaria - a Bheel chief. It is believed that Rawal Veer Singh assassinated Dungaria and established the town of Dungarpur sometime around 1282. 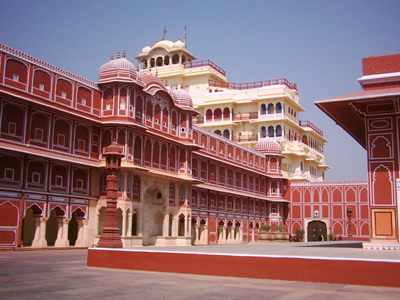 The rulers of Dungarpur claim to be descendants of the Rajput house of Mewar. Board afternoon flight to Delhi. 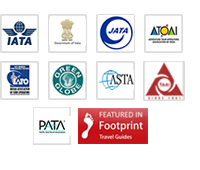 Room with breakfast + air-conditioned car with driver + English speaking/language guide/naturalist for all sight seeing.